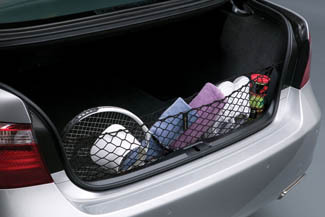 Custom-crafted for the IS cargo area, the cargo net is designed to hold a variety of everyday items, from groceries to athletic gear, to help ensure they don?t shift around or tip over. The cargo net features a hammock-style design and durable elastic-mesh netting that attaches to defined points in your rear cargo area, making it easily accessible. 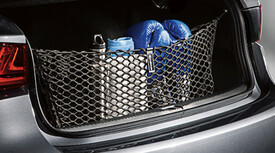 The cargo net can be installed or detached in seconds, and folds flat for storage when not in use..